Weather Light rain and breezy starting tonight. Southwest Harbor is located on the south side of Mount Desert Island just southwest of Greening Island and west of Sutton Island. 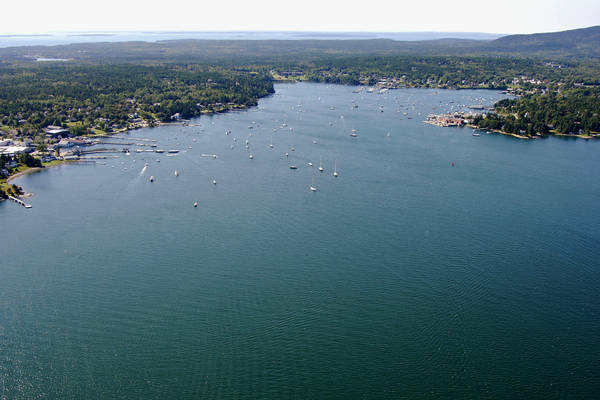 Southwest Harbor is 45 miles east of Rockport and 38 miles southwest of Great Waal Island. The image above is a view from the east looking west over Southwest Harbor just south of Greening Island, which is off the right-hand (north) side of the image. 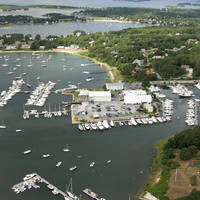 Farther up on the right (north) is Clark Point, where the expansive Bealls Lobster Pier Marina is located. Off to the left (south) is the town of Manset, which is just west of Kings Point. Not only is Southwest Harbor home to the famous Hinckley Company, builder of fine yachts, but there are also four additional marinas with varying levels of service. 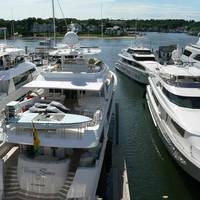 Of the five total marinas in Southwest Harbor, all of them accept transient guests - either at moorings or dockside slips. 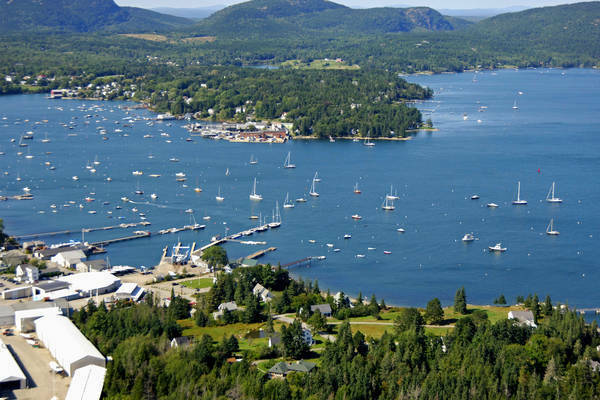 Two marinas sell diesel fuel (no gas available in Southwest Harbor as of this writing), and two have lifts for repairs and related services. Southwest Harbor can be approached from two directions. 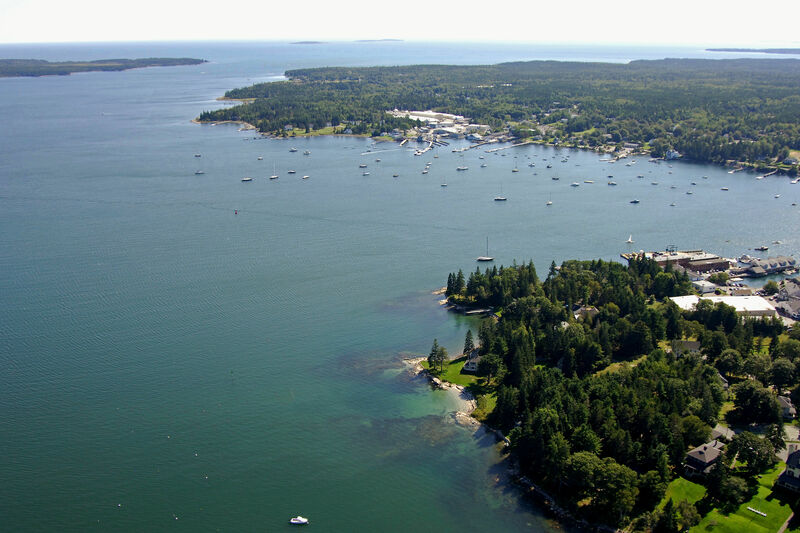 One approach is from the south through Western Way, which works in from the Atlantic Ocean, and then passes between Cranberry Island and Seawall Point before meeting up with Southwest Harbor. 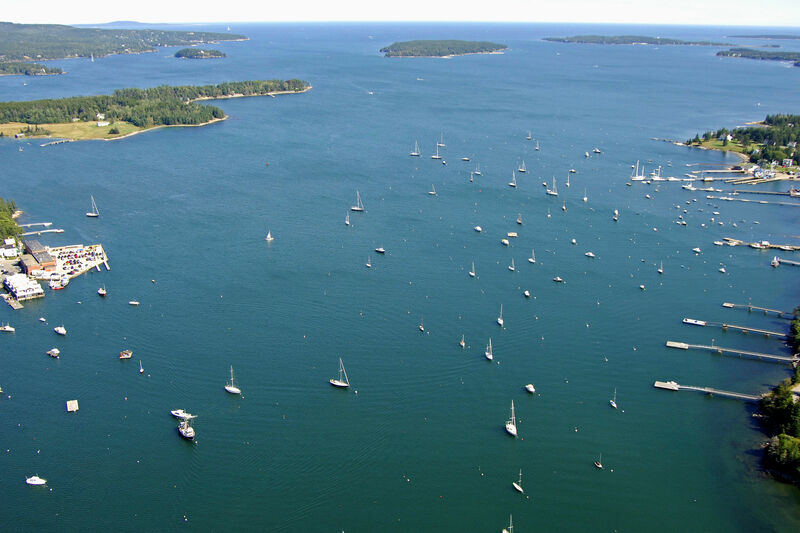 The second route is to approach from the east via the Gulf of Maine, and then travel west toward Southwest Harbor passing either north or south of Sutton Island. Back at flashing red buoy 4, you should continue north, picking up green can buoy 5 as you proceed. Make sure you leave this mark decidedly to port as you head north. Past green can buoy 5, set a new course of 028 degrees magnetic for 1.1 miles to intercept red nun buoy 6. Flashing red buoy 8 shows up next to starboard. From here set a new course of 319 degrees magnetic for 1.6 miles and pick up a different flashing red buoy 8 south of Greening Island, and right at the mouth of Southwest Harbor. No reviews yet! 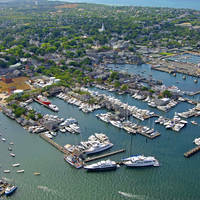 Be the first to write a review of Southwest Harbor Inlet.